Haven’t you ever wanted to spend time outside communing with nature? It can be a wonderfully relaxing experience, but the unexpected can happen. Knowing how to survive in the wild with nothing is something we should all know how to do. We can all agree that knowing survival skills can definitely save your life if you happen to find yourself in such a position. Shouldn’t we all have a plan just in case? 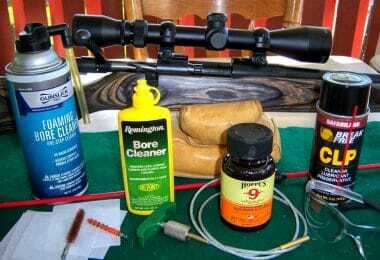 You need to know some basic skills in order to ensure your survival. Here we will teach you what you need to know to stay alive in the wilderness. We will teach you how to survive in the wild with nothing. We will teach you how to: find a shelter, build a shelter, make a fire, find water and find food. 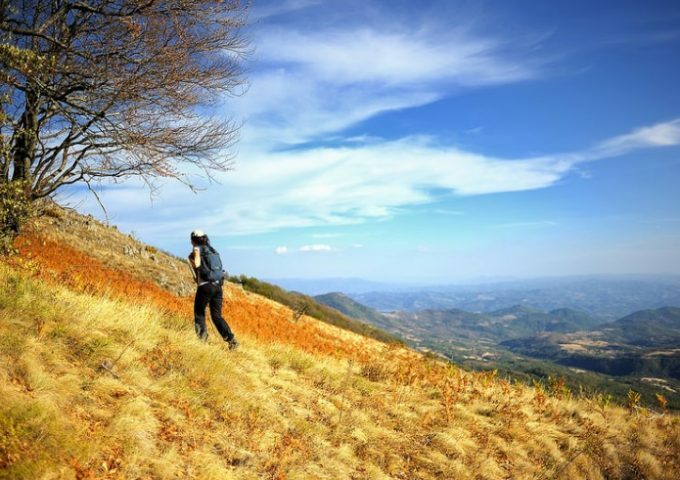 If you know how to do these things you won’t panic if you end up lost in the wild. You can wander into the wilderness with confidence. 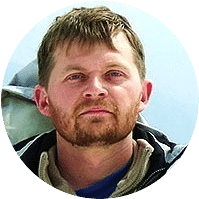 Why Is It Important To Know About Wilderness Survival? Say you go on a camping trip and something goes wrong. Out on a hike and you get lost? You need to do whatever you can to survive. You don’t know how long it may be before you are rescued. Dehydration, starvation, and hypothermia can set in. You may not always have everything you need, so we will teach you how to get by with the bare minimum. Being exposed to the elements is not fun. You can get sunburnt and bitten by mosquitoes. In very cold conditions you can get frostbite along with hypothermia. Our bodies are not well adapted to extreme conditions. We will now teach you the steps you need to take to ensure your survival in the wild. The shelter is very important because temperatures can change quickly and it can become cold at night. You will also be colder if you are close to or on the ground. It is a good idea to first search for a natural shelter. A natural shelter could be an outcropping or where there are some bushes forming a natural windbreak of sorts. A cave will do nicely. Just be careful there isn’t a bear or some other animal living in it. 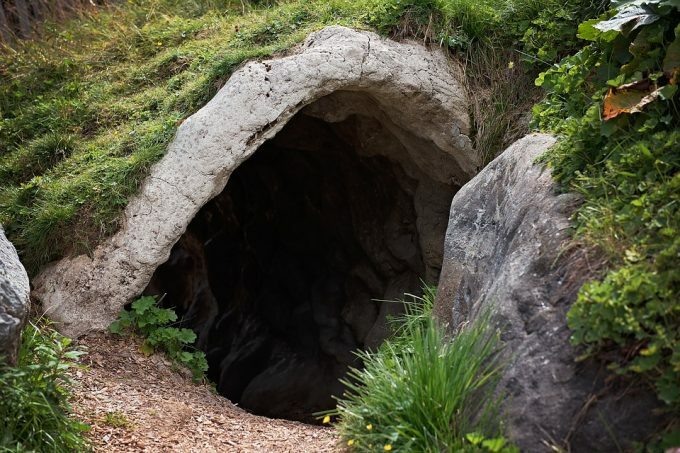 A cave can provide good protection from the weather. It can keep you drier and warmer than being outside. It will also protect you if there is a storm. Lightning, flooding and high winds can all put your life at risk, so a cave would be a good choice. You need to be careful about where you shelter and make sure not to be too close to a brush pile for instance, where there may be snakes. It may be a good idea to make a sharpened stick to use as a weapon if something does come along. It is a good idea to have a long stick anyway if you have to walk through long grass as you can move the stick through the grass to scare off any potential snakes. 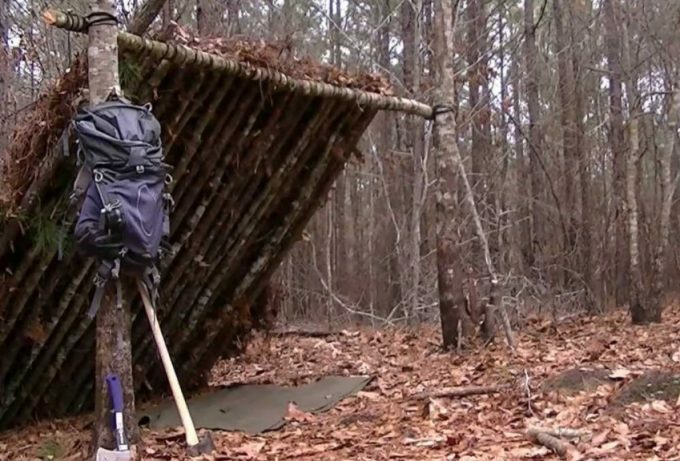 If you can’t find a shelter it’s time to build one. You need to stay dry and keep as warm as possible. Hypothermia is a real killer and besides, you would feel miserable if you were cold and wet. If you can’t find an outcropping you can try to find a tree stump. You can then collect branches to use to make a shelter. You can prop the branches you collect up against the stump. In this way, you can make a lean-to. 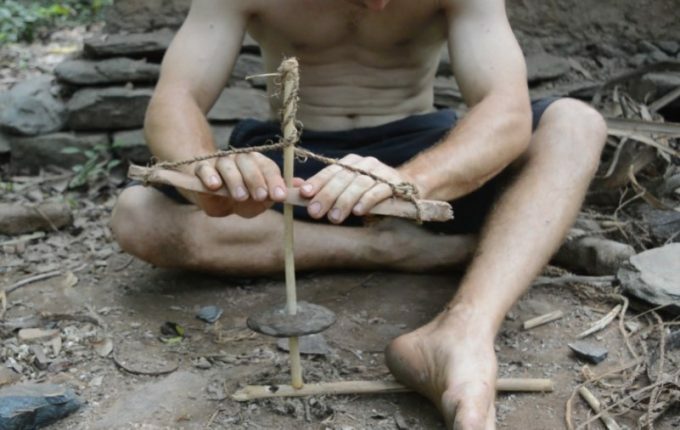 You need to use sturdy branches and try to keep the frame quite low to the ground, again to block the wind. If you happen to have rope, it is easier as you can tie the branches together. Once you have a frame of sorts you can find smaller branches with leaves to add to the structure. The leaves will provide some protection from the weather. If you have a rope on you, you can tie it between two trees, then collect sturdy branches and make a lean-to between the tree trunks. Once again, collect more branches with leaves to add to the shelter to protect you. The more leaves you can add the better as this will help to waterproof the structure. You can lay branches perpendicular to each other so as to make a stronger structure. Make sure that your shelter is not open into the wind. You want to be protected from the wind so first see which way the wind is coming from. Your shelter should act as a windbreak and protect you from the rain. Regardless of the weather conditions, you need to have a fire. At night, even in summer, the temperature will drop and you need to stay warm to avoid hypothermia. You will also need to boil water before drinking it, so a fire is really a necessity. 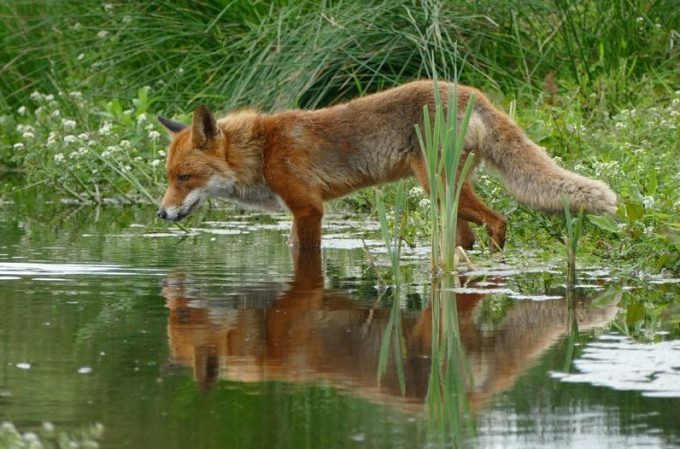 Fire can also keep predators away and act as a signal if you are lost. 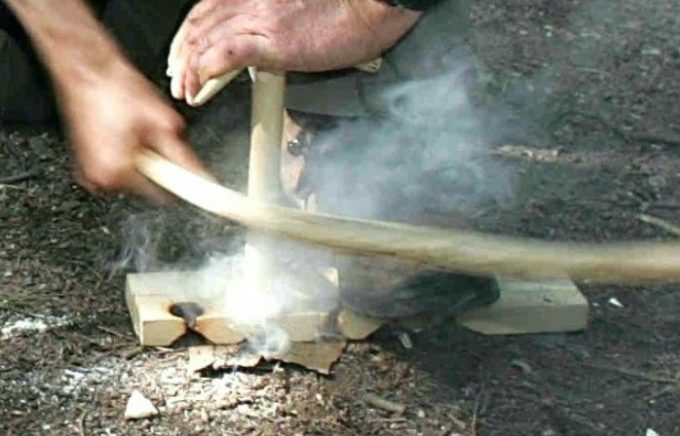 Most ways to make fire rely on friction, with wood rubbing against wood until an ember is formed. One of the easiest and best ways to use friction is by means of a bow-drill. Find dead dry branches to use. Greenwood is too moist and won’t work; the drier the wood the better. You need to have a fireboard and a spindle. The piece of wood that will be the spinning piece needs to be round, about ¾ of an inch in diameter and about 12 inches long. It should be as hard as or harder than the wood used for the fireboard. Both ends should be tapered, but the bottom should be more rounded. The fire board should be medium-hard and twice as wide as the spindle. 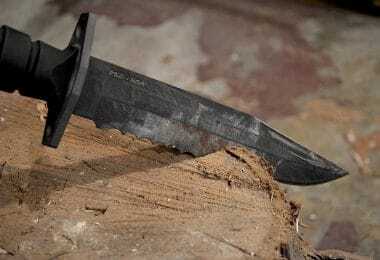 Make a shallow hole in the wood using a knife. This is where the spindle will fit in. To make the handhold and bow: Find a piece of hardwood that will fit in your hand. Make a hole in one end. Find a flexible and long stick to use as a bow. It should be about as long as your arm. It should be slightly curved and flexible. Tie string at the top and bottom, the top knot should be easily adjustable. The string should remain slack enough for the spindle to twist in it. How Do You Use A Bow-Drill? Place the spindle in so that the bottom end is on the right. The string should rest in the middle of the spindle. Grab the left side of the spindle with your right hand and the right side with your left hand. Twist the spindle clockwise, such that the string twists with it. The spindle should twist in the bowstring and move up and down in the fireboard in the notch. The wood bow should be to the right of the spindle. Hold the handheld with your left hand, hold the end of the bow with your right hand and proceed to drill by slowly moving the bow towards and away from you. Push down hard enough to keep the spindle in place. You should progressively drill faster and harder using the bowstring and keep your arm on the bow straight. Next, carve a triangular notch in the socket in the fireboard. Carve out a little notch on the bottom and place bark beneath it to catch the coal. Put the tinder or bark beneath the socket to catch the coal. This should be placed directly under the notch. You need to keep your back and arm straight while bowing. Increase the weight relative to speed while bowing. Once you see smoke, you may have a coal. Keep going, and if it is a proper coal it will glow red. You then remove the fire board from the bark and sprinkle more powder from the notch onto the coal. Hold the bundle in your hands and blow it softly to get it into flame. Then place the bundle where you want your fire to be and let it catch the kindling alight. 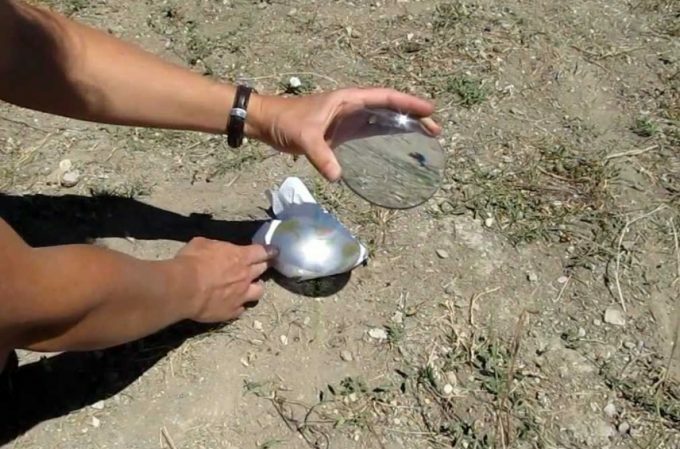 You can make fire using a lens of some sort. A magnifying lens is probably one of the best lenses you can use for this. If you are farsighted and wear glasses, these lenses will work as well. The lenses work by bending the light. Magnifying lenses are curved in both directions and so produce a very focused beam of light, which creates more heat. So to create fire with a lens, first add water to the lens as this intensifies the beam. Angle the lens towards the sun to focus the beam of light on as small an area as you can. Focus it on an area of tinder that you have placed on the ground where you want your fire to start. Here are some ways to help you find water. It will be useful to try to move nearer to a source of water if you can. 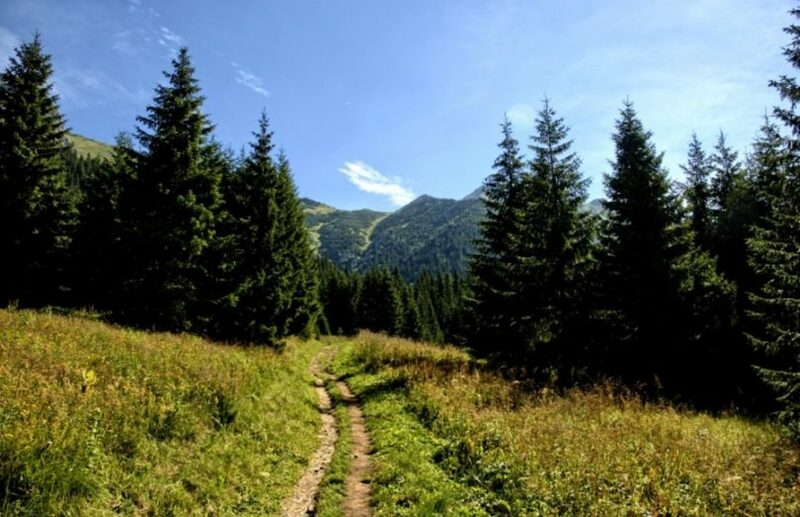 However it is not a good idea if you are lost, to spend a long time wandering around aimlessly as you will waste energy, burn calories and dehydrate even more. You can listen to the water and also see if you spot animal tracks heading in a particular direction as animals will head to the water. Water also tends to be found downhill so heading downhill is a good idea. Water from streams, rivers, and ponds can contain not only bacteria but also parasites from other animals. Even if the water looks clear and clean it is unwise to drink it without first sterilizing it. Boiling the water will accomplish this. Water can be collected using anything that is waterproof, so even a jacket or hat can be used. If it rains, rainwater can be collected and saved. Collected water should be boiled for 20 minutes before drinking, to kill any bacteria. If you are really desperate for water you can dig up plant roots and smash them up, as they contain some water although only in small amounts. Collecting dew in the mornings is another way to get some water. You can use material and sweep this through the grass early in the morning to collect the dew that has formed. 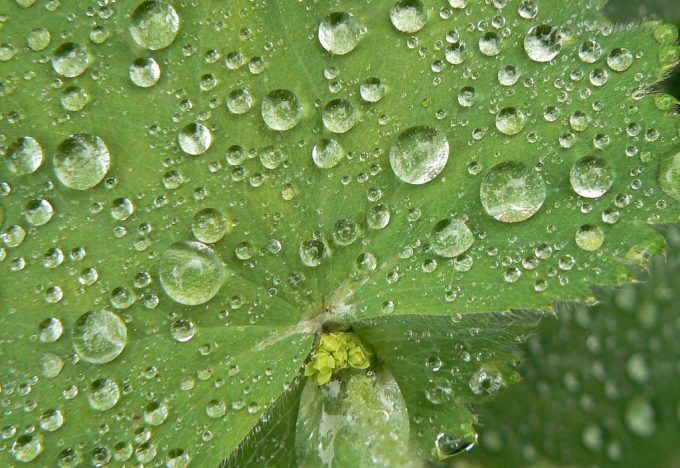 Water moves out of plants from roots to leaves and then it condenses. This water can be trapped by placing plastic or cloth over the leaves to trap the moisture. You need to tie the material around the leaves. To keep your energy levels up you need to find something to eat. You have to be careful not to eat something that is poisonous, so mushrooms are a bad idea unless you really know the difference between poisonous and non-poisonous mushrooms and most people don’t. Here are some plants that may help you survive out in the wild. Berries – Always a Good Choice! Berries are a good food choice if you know which are safe to eat. They are easy to collect and quite nutritious. They are full of sugar and will provide you with a burst of energy. 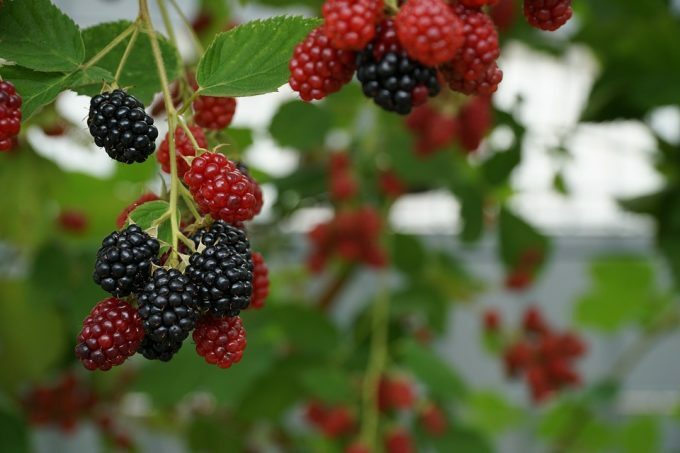 Look for blackberries, raspberries, and mulberries. Generally blue and purple berries are safe to eat but you still should not tempt fate. If in doubt don’t eat it. Nuts – Who Doesn’t Like Nuts? You should also look for a tree that produces nuts as nuts are also a good source of energy and are high in protein. You can get acorns from oak trees, for instance. Other nuts you can eat include beechnuts, black walnuts, hickory nuts, pecans, and hazelnuts. Be sure you have identified the tree correctly as some trees produce poisonous nuts. 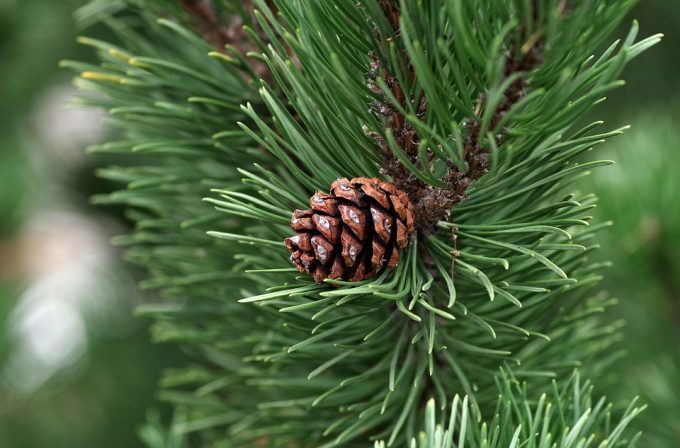 Even the inner layer of bark of some trees like pine can be eaten and are quite high in nutrients. If you scrape off the outer layer, you can find the soft inner layer, called cambium, which can be eaten. It may be an acquired taste, but at least it will help keep you alive. The layer on the inside is the juiciest but still may be hard to chew. Tree bark is actually quite nutritious. Make sure once again that it is a tree that you can eat. Such trees include pine, aspen, and willow. Leaves from some trees can also be eaten. Beech, birch, hawthorn, and spruce can all be eaten. Some weeds and plants are edible. You can eat dandelions, clovers, cattails, and chickweed. These can be collected and eaten as well. Again be sure you can identify the plant before eating it. The key is to be certain you have correctly identified the plant you are about to eat. If you misidentify what you eat you can become very sick. It is crucial that you learn how to identify edible and poisonous plants before you go wandering around in the wilderness. Animals – Can You Eat Them? You can try to catch and kill small animals, but you need to make some tools to do so, so for instance, a sharpened stick, or some type of trap. If you are near a river you can use a sharpened stick as a spear to impale fish. Insects can also be eaten. But don’t choose brightly colored insects as these are normally toxic. Also, avoid trying to eat anything that has a sting or a hairy body. Obviously, the sting can harm you and, even if the insect is dead it still contains venom that can cause an allergic response. 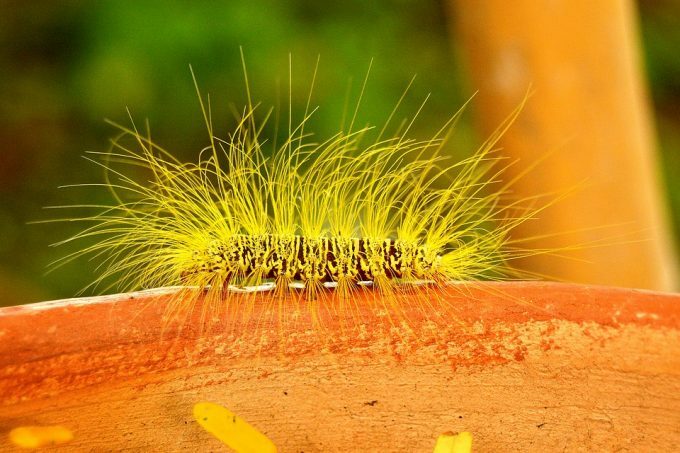 Hairy insects also often contain irritating chemicals. The light from the fire will probably attract insects at night that you can catch. During the day search on plants, under rocks, and in the soil. You can use a stick to beat a bush; insects may fall out onto the ground. You may find some nice tasty grubs to eat in the soil. You can even dig a hole in the ground and place a can (if you have one) into the hole. This makes a nice pitfall trap that will collect insects at night. They will fall in and won’t be able to climb out. If possible cook the insects as they could contain parasites that you could potentially catch. 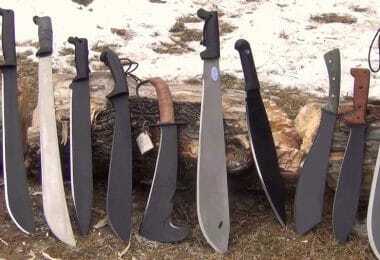 It is very important to know these basic methods to stay alive in the wilderness. 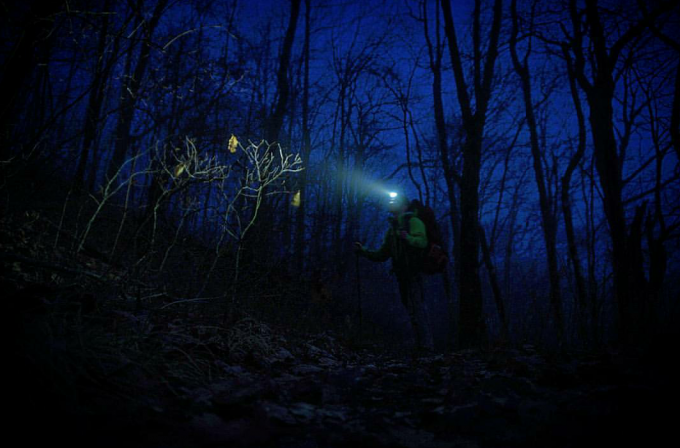 You can easily run into trouble while out in the wilderness and isn’t it better to be prepared just in case? You need to know how to find shelter or build a shelter; make a fire; find water and find food. Even if you don’t have much or any equipment, we have taught you what to do so you don’t need to panic. We have discussed how you can find a shelter. 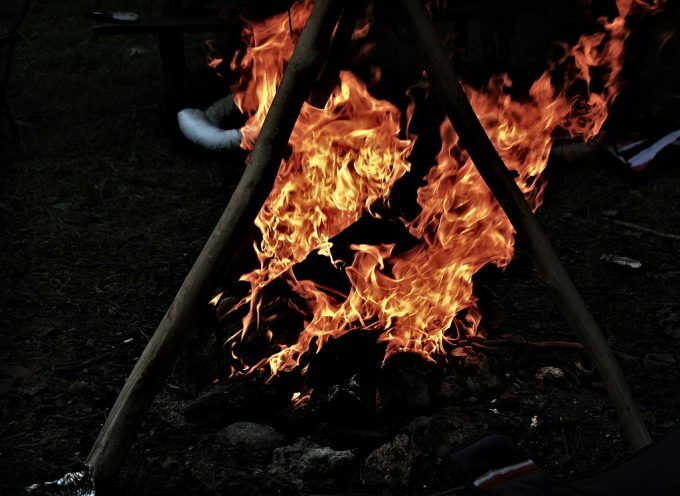 If need be you now know how to build a shelter and you have learned how to make fire. We have taught you how to look for water and how to find water using various methods. You need to remember that natural water such as rivers and streams are downhill. Remember to always boil the water that you find to kill any bacteria. You now know how to search for food and what food you can eat. Now you can go into the wilderness with confidence. 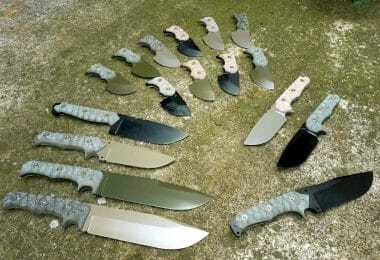 Are there other methods of survival that you know of that we could include?